Exclusive fully furnished villas in the complex Amathusia Coastal Heights. Luxury villa with stunning sea views in a closed, gated complex just 100 meters from the sea. In the complex: 2 swimming pools, sauna, gym, jacuzzi, playground, beautiful g.. Luxury 2 bedroom villa located in a quiet residential area of Potamos Germasogeia in walking distance to the sea. Two bedrooms, two bathrooms and one guest bathroom, furniture, fully equipped kitchen, air conditioning in all rooms, underfloor heat.. 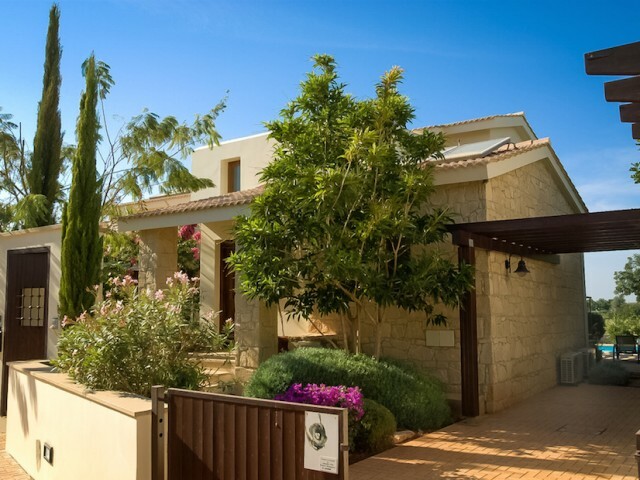 Luxury villa with 6 bedrooms for sale in Paphos, built to the highest standards. The villa has five bedrooms plus a maid's room. Land area of 712 m², a covered area of the house is 530 m², 224 m² basement, ground floor 187 sqm and first floor 119 ..
Four bedroom villa in Kalogiri, in one of the most prestigious in Limassol. All rooms have air conditioning, central heating, garden with fruit trees, swimming pool. In three minutes from the beach and from the promenade of Limassol. In walking di.. Luxury villa with 6 bedrooms in the prestigious area of Limassol. The villa is situated on a hill with stunning panoramic views of the Mediterranean Sea. The villa is built to the highest standards using the most modern technologies. Private swimm.. This complex is part of "Aphrodite Hills". This is the best golf resort in Cyprus. 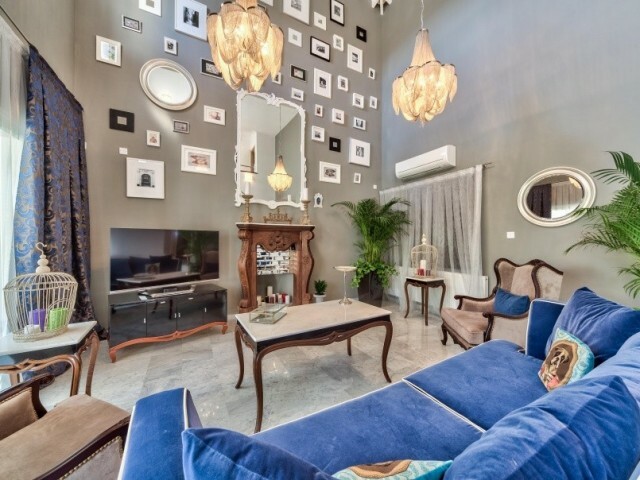 In the complex there is a 5 * hotel "Interkontenental" golf academy, tennis, a large number of restaurants, a kids club, playground, horse riding club, grocery stor..
Beautiful well-kept villa with 6 bedrooms, located in the district Potamos Germasogeia. Total floor area 600 square meters. Land area of ​​1,500 m². Heated swimming pool, pond, beautiful mature garden. On the ground floor is a large living room, w.. The villa is situated on a plot of 1050 m² in a prestigious residential area of Potamos Germasogeia, near the shop Papas. Very convenient location, all the infrastructure is in walking distance, 5 minutes drive from the sea. This fully furnished v.. Luxury five bedroom villa is located in the Agios Tychonas. The plot is 985 m² and a living area of ​​400 m². The villa has five bedrooms, a study, living room, dining room, large kitchen, parquet floors, fireplace, storage room, fully furnished, ..